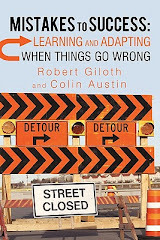 Bob Giloth's Blog: A New Thought? "...(A)dmitting our absolute impotence can be politically liberating: acknowledging that as a left we have no influence on who gets nominated or elected, or what they do in office, should reduce the frenzied self-delusion that rivets attention to the quadrennial, biennial, and now seemingly permanent horse races." "Obama's election is most fundamentally an expression of the limits of the left in the United States -- its decline, demoralization, and collapse." Adolph Reed Jr., Nothing Left: The long, slow surrender of American liberals. Harper's Magazine, March 2014. This isn't really a new thought. There is a long-standing question of whether electoral politics at any level advances social equity. And for many, backing candidates like Obama was the best available tactic in the short run while the movement sputtered. The same argument has been applied to local candidates like Harold Washington in Chicago? He undercut the movement! He won't take over the disinvested steel plant. The more salient question is about a viable left agenda and who is willing to get behind it. Elections come and go.